"Michel, president of Seychelles from 2004 to 2016, has written a balanced and stunningly illustrated book. ... The book is strongly recommended for general readers, and will serve as a solid introduction to ocean ecology and economy for a wide audience... Summing Up: Highly recommended. All readers."—F. T. Manheim, George Mason University, Choice, October 2017. "It is unfortunately all too rare to find a politician who is genuinely interested in matters maritime. It is even rarer to find one who is passionately so interested and who actually knows what he is talking about. That is why it has been a great and unexpected pleasure to read this excellent book by the recently retired President of the Republic of Seychelles. He thoroughly understands his subject and describes it very well.... A wonderful book that should be read and digested by all politicians and anyone with any kind of interest in the sea. "—Ausmarine, March 2017. The world has come to a crossroads. By the end of this century the total population is expected to exceed ten billion, but the area of land to support this is finite. Indeed, with climate change, some of the most valuable land areas will be lost, much of it as a result of rising sea levels. To sustain life on earth, new ways have to be found to grow food, generate energy, and conserve the environment on which our future depends. Fortunately, when faced with a challenge of such consequence, people prove to be remarkably inventive. In this case, solutions are by no means beyond reach. We can start, quite simply, by looking out to sea. There, stretching to the horizon, lies the future. Remarkably, the oceans cover two and a half times the extent of terra firma. Yet we have always taken far less interest in the sea than the land. But what if we change our thinking? Instead of continuing to see the land as our future, suppose we put our trust in the sea. For solutions to some of the earth’s most pressing problems, the oceans may be our salvation, the source of untapped economic wealth. Within these waters can be found the elements of what is now widely known as the Blue Economy, the new frontier for human development. It is a twenty-first century concept to meet a twenty-first century challenge. 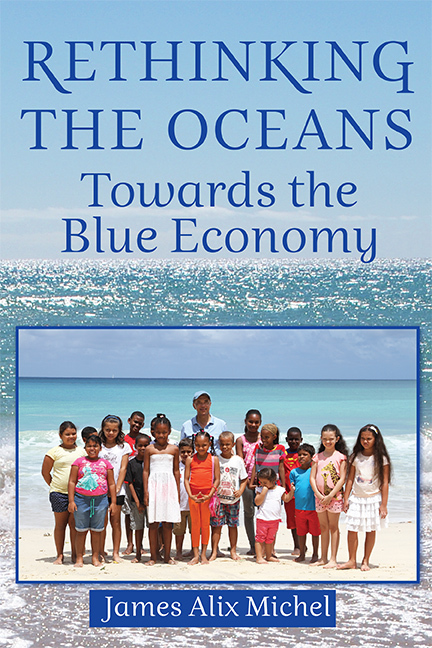 This book explores all aspects of the Blue Economy. Where does the idea come from? What does it include? How can it transform traditional economies? Can it be sustainable? And what needs to be done to ensure its universal adoption? 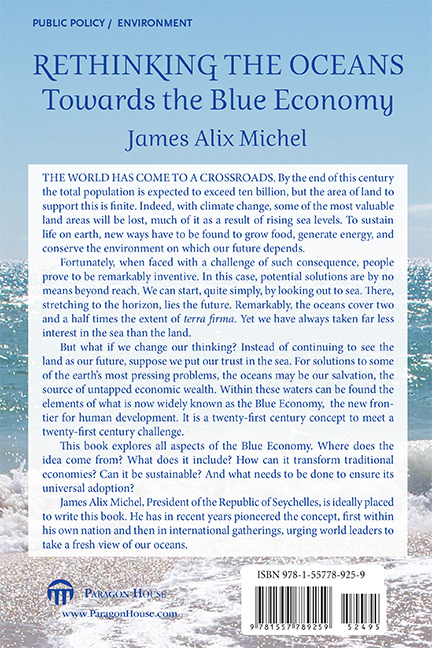 James Alix Michel, President of the Republic of Seychelles, is ideally placed to write this book. He has in recent years pioneered the concept, first within his own nation and then in international gatherings, urging world leaders to take a fresh view of our oceans.